A few days ago I was at my favorite B&M, exploring the walk-in and trying to decide if I should go with an old favorite or try something new. 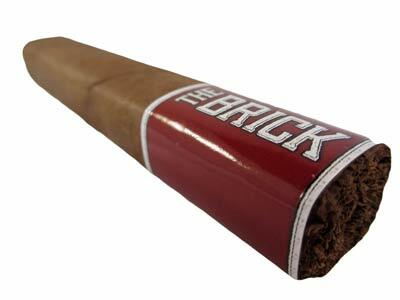 I saw The Brick, which I had heard good things about, and it was selling for half the price of the other cigars I’d been considering. I bought it and headed to the lounge to check it out. This is not an fancy cigar with nuances of this and hints of that and a flavor profile that changes as you smoke it. It’s is a good, medium-strength, cigar-flavored cigar. The best price I found was at Mike’s Cigars.